There’s nothing more frightening than seeing a spider scurrying across your room. From all the types of bugs that can invade your home, spiders seem to create the biggest panic. However, a fear of spiders isn’t the only reason to keep them out of your home. Repelling spiders is also important because some species of spiders are quite dangerous and can inflict painful or even poisonous bites. Using spider repellents that work can help to prevent an infestation of spiders in your home. After all, you probably don’t relish the idea of having to chase a quick-moving spider around the room to try and kill it. The best spider repellents help deter these 8-legged bugs from crawling into your home and causing you and your family distress. Many people prefer to choose natural spider repellents because they are nontoxic to humans and pets. But it can be difficult to know which natural spider repellents for the home are the most effective in deterring these annoying creatures. We have put together a list of the top natural spider repellents currently on the market that have proven efficiency against spiders. You will also find out what repels spiders most effectively without causing risk to your health. Let’s look at the top 3 products that work well to prevent spiders from crawling inside your home. The first of our top-rated products contains essential oils for spiders and spider eradication. First Botany Cosmeceuticals have produced an effective peppermint oil spider repellent that is nontoxic. This product is top of our list because it contains pure and natural ingredients that repel many types of bugs, including spiders. This peppermint oil-based spider repellent works effectively because it contains 10% menthofuran. This is the compound in the peppermint essential oil that keeps spiders away. The peppermint spider repellent is produced from distilled fresh leaves to achieve the highest potency. There is actually scientific backing in using peppermint oil as a spider repellent. In one study, scientists compared the efficacy of natural spider repellents including peppermint oil. They found that aromas from mint oil strongly deterred spiders. In fact, peppermint oil was far superior to using lemon oil as a spider repellent. Application of peppermint oil to safeguard your home from spiders in this product is via a dropper. This is a handy way to apply the powerful deterrent to small cracks where spiders tend to lurk. You can also use the dropper to accurately measure out drops if you want to make your own peppermint spray for spiders. This way, you can cover a larger area with the peppermint oil solution to help keep your home spider-free. The all-natural indoor spider repellent is definitely one to consider if you have a baby, young children, or pets at home. The product doesn’t contain any kind of toxic chemicals that could cause harm. In fact, many reviews of this peppermint oil for spiders and insects say that its aroma also helps to freshen up rooms and acts as a natural air freshener. This natural indoor spider control spray contains cedar oil as its main spider-repelling ingredient. This all-around spray comes in a handy 30-oz. spray bottle that is easy to use if you need to keep spiders at bay. 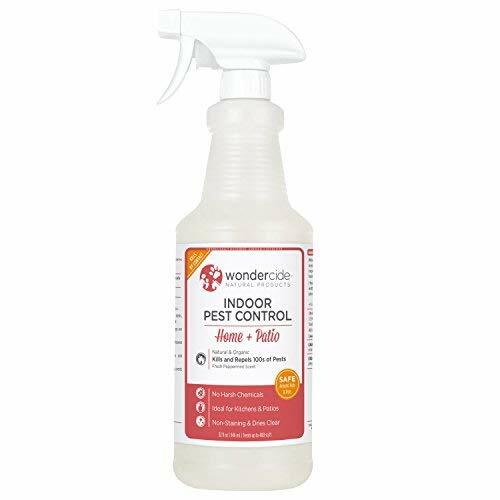 The reason why we have included this spider repellent by Wondercide is that its natural formula contains an essential oil blend and dries on fabric and hard surfaces without staining. The natural spider repellent spray contains a blend of peppermint oil and cedar oil. The combination of these two ingredients together act to both kill and repel spiders. Cedar oil affects insects such as spiders, ants, roaches, and fleas by suffocating them. Peppermint oil acts as a deterrent to stop spiders coming close to treated areas. The effects of cedar oil as a natural pesticide is also backed up by scientific research. Scientists found that cedar oil is toxic to bugs and also has a repelling ability. This happens because compounds in cedar oil block certain neurotransmitters in insects and arthropods (spiders). 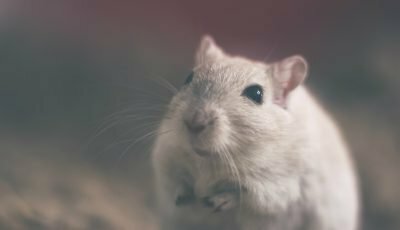 However, because mammals don’t have these neurotransmitters, humans, and pets aren’t affected by the aroma. The reason to consider purchasing the product is that you can use it to treat areas where children and pets live. For example, you can easily spray it on bedding, carpets, furniture, kitchen work surfaces, and around baseboards to keep most types of arachnoids away. The fact that this is an all-natural product means you don’t have to worry about where you use it. One effective way to keep spiders away from your house is to use ultrasonic spider repellents. These non-toxic spider repellent units by VEPOWER are great to keep bugs and insects away from your rooms, basement, garage, or other areas of your property. The fact that these natural repellents use ultrasonic waves means that they won’t harm pets in your home. They can also work as outdoor spider repellents to keep these annoying pests as far away as possible. Keeping your home completely free from insects and spiders has never been easier with these ultrasonic devices. You can just plug them in and leave the spider repellers to do their job. 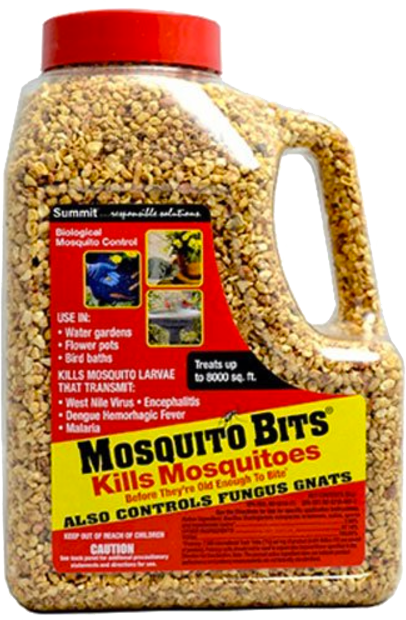 You will also find that this product helps to keep other pests such as mice, mosquitos, fleas, and roaches away from your home. The good news is that these are pet-safe spider repellents that won’t affect or harm your pets. One of the reasons we have included these spider repellent plugins is that they use the latest technology in ultrasonic waves. This means that, when compared to similar plug-in spider repellents, they are more effective. This product also has the advantage in that it doesn’t kill spiders but just uses soundwaves to force them out of your home. Also, depending on where you place them, they may also be useful as an outdoor spider repellent. One of the reasons for including these spider repellents for the home is that, compared to similar products, they receive a high proportion of positive reviews. Many users say that these units help to keep their homes, holiday homes, RVs, and garages free from pests. The manufacturer and many users say that they may take up to 2 or 3 weeks to become most effective. Each spider repellent unit protects up to 1,600 sq. ft. There are a number of other spider repellents that work to varying degrees and which you may find work for you. Here are a few more. The Cliganic Pure Peppermint Oil for Spiders uses the repelling scent of 100% peppermint oil to help keep spiders at bay from your home. We found that this essential oil spider repellent wasn’t as easy to apply as the First Botany Cosmeceuticals product as this natural indoor spider repellent oil doesn’t come with a dropper. WILDJUE Electronic Spider Repellent uses ultrasound waves to confuse spiders and help make them scurry away from your home. However, when compared to the ELZU.US Ultrasonic Spider Repellent, users didn’t rate this product so highly and its effectiveness is quite limited. The Body Wonders 100% Pure Peppermint Essential Oil Spider Deterrent is completely natural and will help prevent spider infestations in your home by putting them off with the smell of peppermint. This product comes with a handy dropper to apply to hard-to-reach areas; however, users didn’t rate this spider repellent oil as very effective. Eco Defense Organic Home Spider Control Spray also is a natural spider spray which helps to kill spiders and stop them from crawling into your home through cracks and crevices. 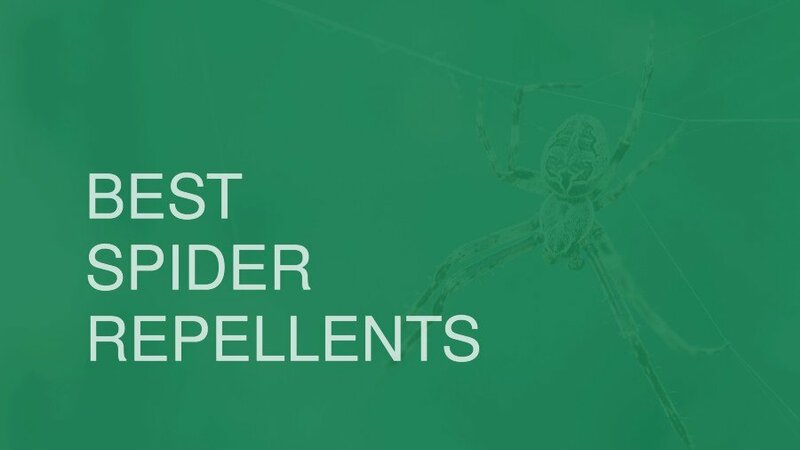 The spider spray formula is completely natural but not all users rate this as highly as the First Botany Cosmeceuticals essential oil spider repellent. RAID MAX Bug Barrier Spider Repellent works by killing off creepy crawlies like spiders, roaches, ants, and scorpions. If you are looking for a natural, pet-friendly spider spray, then this is not the best choice as it contains deltamethrin which can cause allergic reactions in animals in humans. Earthkind Stay Away Spider Repellent is an essential oil spider repellent which comes in the form of small pouches that you can place at strategic places around the home. When compared to some of the other bug repellents reviewed here, this seemed to the be least effective. Preventing spiders from entering your home, car, garage, or outbuildings can be a challenge. Spiders can lurk in inaccessible places under workspaces, in cracks in walls, or other dark corners. Natural spider repellents help to create an environment that is inhospitable to spiders. One of the most effective ways to do this is to use essential oils that disrupt a spider’s sophisticated senses. Essential oils that keep spiders away are some of the most popular types of natural arachnoid deterrents. You can use natural spider sprays around the home without fear of toxic chemicals affecting family members or pets. All you have to do is use the spray on window frames, door frames, behind kitchen cabinets, or under furniture. In fact, the best spider repellents using essential oils can be used almost anywhere you need protection from spiders. 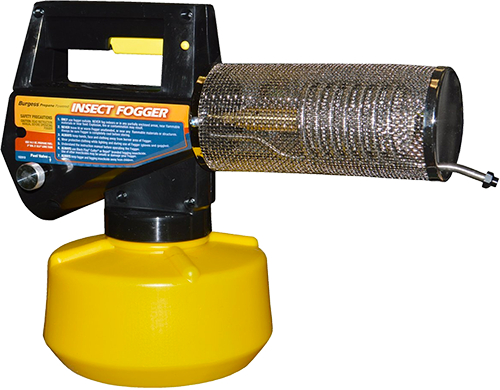 Ultrasonic plug in spider repellers are generally easy to use and they should last for a long time. These products use sound waves that are inaudible to humans or pets but annoy spiders and other bugs. One of the drawbacks of spider repellent plug ins is that their effectiveness is not always proved. However, if you get one that works, they can help to keep rooms in your home free from pests. Who needs natural spider repellents? Natural spider repellents are a great way to prevent bugs, insects, and other pets from infesting your home. Many people who live in areas prone to spiders prefer using humane methods to deter pests. Most essential oil spider sprays and ultrasonic devices don’t kill spiders but just help to stop them coming into your home. However, you need to reapply spider repellent sprays frequently for best results. One of the advantages of choosing spider repellents that work using nontoxic methods is that they won’t cause damage to the environment. A report on the effect of pesticides on the environment found that insect control using chemicals can contaminate the soil and plants. Researchers found that, although herbicides can effectively and quickly kill off spiders and other bugs, they cause environmental problems in the ground, water, and air. 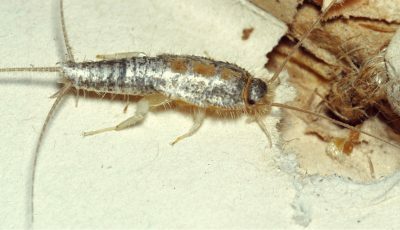 To protect the environment, the report recommended using non-chemical methods for pest control. If you live in the country or in areas where poisonous spiders are common, then choosing the best spider repellents is essential for protecting the health of your family. Brown recluse spiders, black widows, or aggressive house spiders can all cause nasty bites. Scientists say that in some cases, skin inflammation, swelling, bleeding, dizziness, and respiratory failure can all be a result of a single poisonous spider bite. So, apart from spiders creating a fear factor in humans by the way they scamper around a room, you need to eradicate spiders to prevent any risk to your health. Essential oils. Steam or a distillation method is usually used to extract oils from plant roots, leaves, or bark. Some essential oils to keep spiders away include peppermint, eucalyptus, and tea tree essential oil. Ultrasonic. Sound waves or vibrations that are above the audibility limit of the human ear. Plug-in repellent. This refers to the type of spider repellent that works using ultrasonic sound waves to scare off spiders. They are plugged into an electrical outlet to power them. How do Natural Spider Repellents Work? Let’s look in a bit more detail at the science behind many of the natural spider repellents reviewed in this article. Essential oils for spiders work because they irritate spiders’ sense of smell. Spiders have special sensory hairs on their legs that help them pick up scents. Spiders use their sense of smell to hunt prey, find a mate, or sense danger. The strong smell of some essential oils is enough to put spiders off coming near and, if you spray the spider repellent for home at strategic locations, you can keep spiders out of your property. Apart from peppermint oil, there are a few other essential oils that are good for getting rid of spiders and insects. For example, one study found that you could use tea tree oil for spiders because it has insecticidal properties and a repelling effect. Spraying a solution of tea tree oil also helped to kill off insect larvae. Lemon eucalyptus oil for spiders is another essential oil that can help to keep your home spider-free. Researchers have found that the scent of lemon eucalyptus oil helps to repel mosquitos. Although there was no research carried out on spiders, the strong eucalyptus aromas could help keep spiders at bay. Some people have found that using ultrasonic devices that plug into an electrical outlet helps to keep spiders and a wide range of other pests away from their home. How do these spider repellent plug ins work and is there any scientific basis for using them? Most of these devices repel spiders and other arthropods by means of sound waves that are above 18,000 Hz. This means that we humans can’t hear them but they should cause irritation for spider and insects. The effect of these soundwaves is that they help to create an environment that spiders don’t like. However, there are mixed results in their effectiveness. Studies carried out by the University of Arizona found that there is limited effectiveness in using ultrasonic devices against pests. 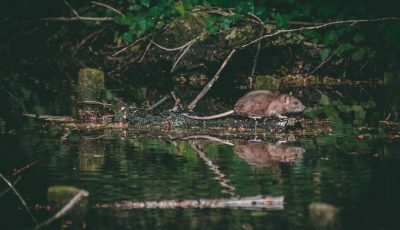 The results of some studies indicate that pests may get used to the ultrasonic sound and they can lose their effectiveness. 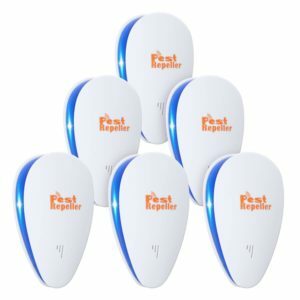 Despite that fact, many users of these products have noticed that the population of pests in their homes goes down when these repellents are plugged in. What other types of spider repellents work well? If you are plagued by spiders in your home, there are a number of other ways you can get rid of spiders. For example, you can put near your houseplants that keep spiders away. Sometimes having a peppermint plant near your door or having peppermint on your window can help deter spiders from scurrying into your home. You could also try making your own spider repellent spray by filling a 16-oz. spray bottle with some warm water, a few drops of dish soap and 5 drops each of peppermint oil, lemon oil, and tea tree oil. Use this spider spray as a repellent to treat surfaces and openings where spiders frequent. One way to help quickly reduce a spider infestation in your home is to use glue boards. These are pieces of cardboard that have sticky glue on them. You can place these spider traps behind furniture, in attics, under kitchen appliances, or anywhere else where there are a large number of spiders. With glue boards, it is important to make sure that other pets or young children can’ access them. What should you do if natural spider repellents don’t work for you? In some cases, you may find that despite using the best natural spider repellents, you still get bothered by these pesky 8-legged creatures. What should you do if you can’t get rid of spiders by natural means? One of the first things you should do is fill any cracks or gaps where spiders find entry to your home. This is an easy way to drastically reduce the number of spiders that find their way into your home. You may also need to carry out a thorough inspection of your home to find where spiders are lurking. If you notice spider nests or large spider webs, take a vacuum cleaner to remove as many traces of spiders as you can. It is also important to ensure that you keep your yard and areas near your home free from clutter. Spiders like to congregate in dark undisturbed areas. So, stacking firewood away from your home, moving shrubs and plants away from your house, or keeping attics and garages clean and clutter-free can all help to prevent an infestation of spiders. In extreme cases, you may have to call in a pest control service to use chemicals to eradicate all traces of spiders, spider nests, and other pests from your home. How can you find the best spider repellents that only use natural methods to control spiders and other insects in your property? Essential oil spider repellents: Spider sprays containing peppermint oil are some of the best spider deterrents. 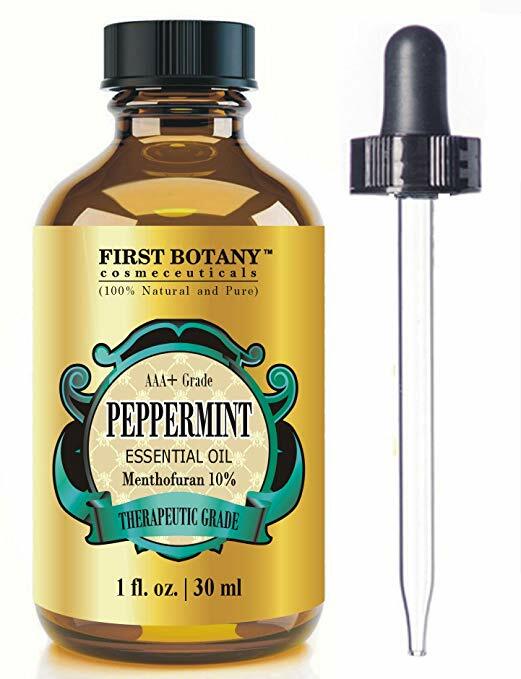 You should look for products that contain 100% peppermint essential oil and that receive good reviews from users. Using peppermint essential oil to keep spiders away also has the added benefit of keeping your home smelling fresh. Other types of natural spider sprays may contain a mixture of essential oils that have repellent activity. These natural deterrents also work well as spider repellents for cars, garages, and other outbuildings. Plug in spider repeller: There are many of these devices on the market that claim to keep spiders out of your home. Because it can be difficult to know their effectiveness, you should read users’ reviews to see which ones work best. Some of the newer models use the latest technology in ultrasound waves and may work better than older models. Thankfully, most spiders in the world are not poisonous and the most damage that the majority of spiders will do is give you a fright or a shock. You may actually be surprised to learn just how many spiders there are in the world. According to some estimates, there are 35,000 different species of spider and at any one time, you are usually within 10 feet of a spider! Of course, without actually seeing a spider, signs that you have spiders in your house are spider webs. Did you know that spider webs are extremely strong? Actually, a spider’s web is 5 times stronger than steel of the same thickness. In order to be most effective, natural spider repellents using essential oils require regular application to keep spider populations down in residential properties. However, essential oils for spiders have the advantage that they are very versatile and can be used in a number of ways. For example, you can soak some cotton balls in a peppermint essential oil solution and place them around your home. These can be put in strategic locations to give off an aroma that prevents spiders from coming close. You should replace the cotton balls weekly or more often if required. The best plug in spider repellers usually come in a multi-pack so that you can protect most rooms in your home. Depending on the size of your rooms or if you want to use the plug in as an outdoor spider repellent, you may need to buy more units. Keeping your home free from spiders is essential if you live in an area where poisonous biting spiders are a nuisance. In the fall, you may also notice more spiders in your home and need to eradicate them naturally. Natural spider repellents are a good way to control spider populations without harming your family or the environment. The best peppermint oil spray for spiders by First Botany Cosmeceuticals is an excellent product to eliminate spiders from your home. The repelling action of peppermint oil will also help to keep other insects and pests away. 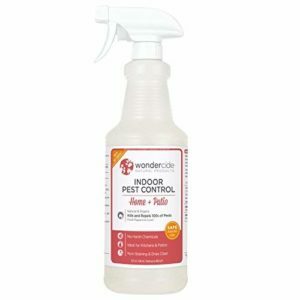 The spider repellent spray by Wondercide is another good “pet safe” spider repellent. This is very easy to apply and you don’t have the bother of having to make your own spider spray with essential oils. This is a good spider repellent for the car, around your house, attic, or anywhere else where you need to ward off arachnoids. If you are looking for a spider repellent plug in, then our choice is the VEPOWER Ultrasonic Spider Repellent. 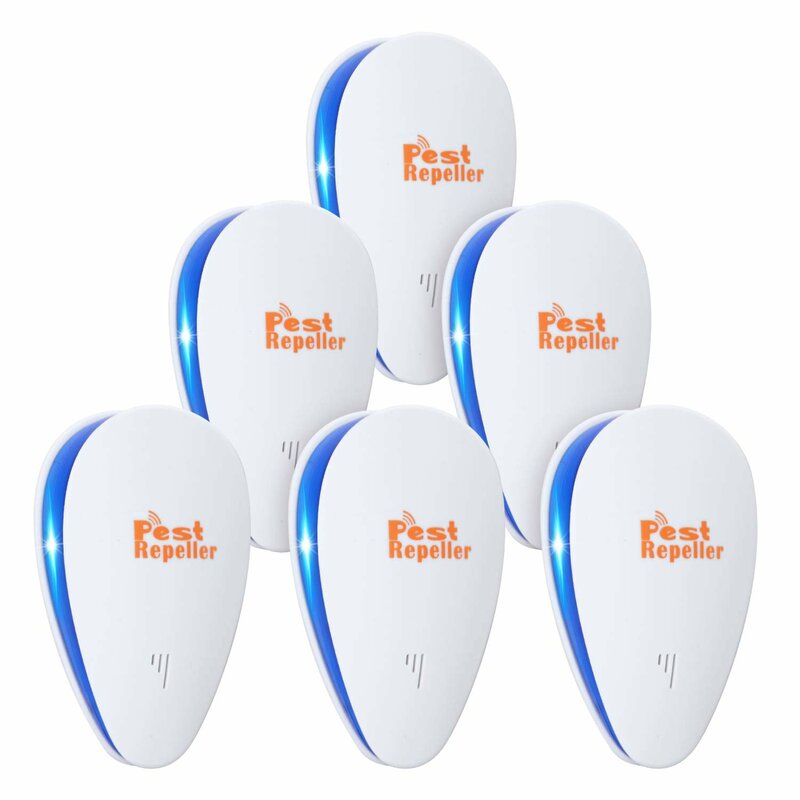 This utilizes the latest technology in ultrasonic pest repellents and is effective in protecting you against spiders, flying insects, and other bugs.